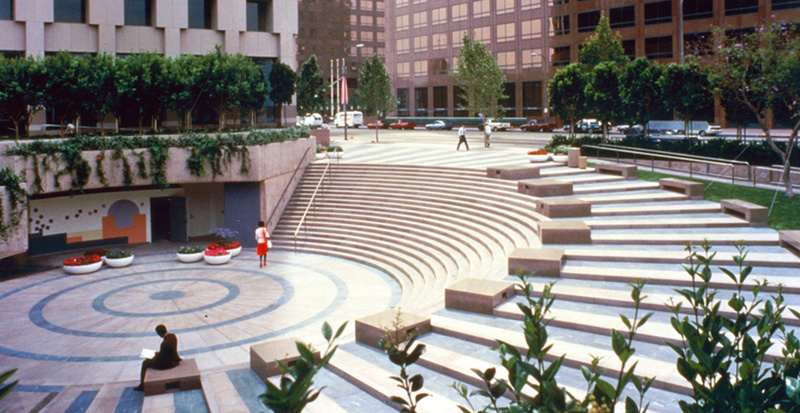 The One California Plaza project is located in the 11.2-acre Bunker Hill Redevelopment Area. 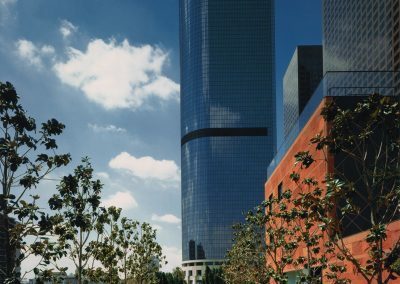 Developed in phases, the project included three high-rise office towers with 3.5 million SF of office space, three high-rise residential towers totaling 750 units, a premier hotel, The Dance Gallery (an outdoor, spiral sunken court used for performances and as an entertainment plaza), more than 100 retail shops and restaurants, approximately 5.5 acres of parks and plazas, and over 4,600 parking spaces. 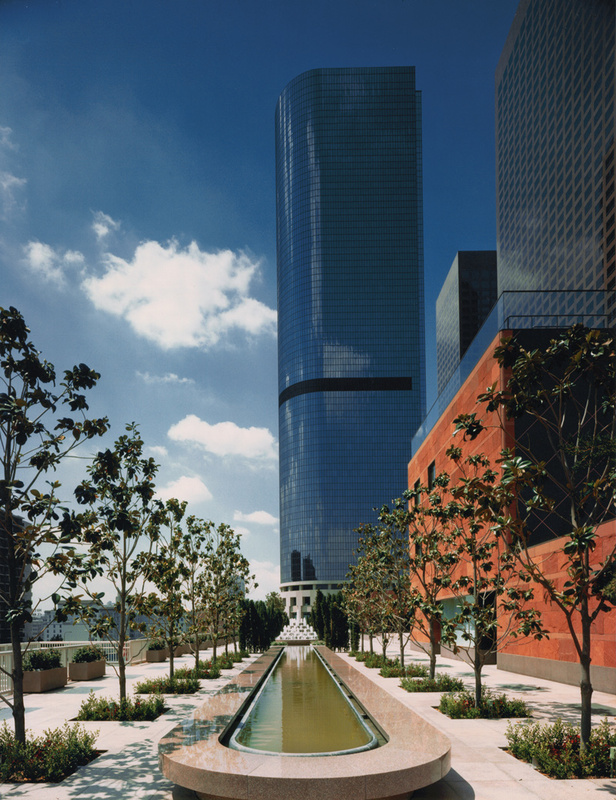 Gruen Associates was the Architect of Record for the one-million-SF, 42-story One California Plaza office tower that includes a parking structure for 1,100 cars; the Museum of Contemporary Art; retail space and the exterior performance amphitheater, which acts as a central focal point and links the two facilities. The project was a Community Redevelopment Agency Competition Winner and received a Building of the Year Award from the Building Owners & Managers Association (BOMA).